This weekend was filled with many firsts and was very special to us for many reasons. It was the first USA Cycling ProXCT weekend of 2018, it was the first time all four of us were together as a team, and the dream that we could create a women’s MTB team officially became a reality. Prior to heading to Fontana we were able to spend time at KS USA and mingle with the awesome crew as well as the Kenda folks and GQ-6 owner (and his family). These companies, as well as many others, are the reason we were able to make this dream a reality so to hang our with them was truly an honor! Being the first big race of the season, we went into Fontana with expectations of shaking out the cobwebs, gaining West Coast race experience, and representing all of the amazing companies and people who have supported us with a positive and rad attitude. In the cross country race (XCO), Emma finished 27th after riding most of the last lap with a rear flat (thank you Joe’s for sealing a 3-inch glass gash across the tread), just missing a coveted UCI point by 2 places. Not far behind Nikki, Fairlee, and Jen finished in 32nd, 35th, and 38th respectively. “A combination of early crashes and death by heat made for a brutal opening race but seeing my teammates crushing it up ahead and waiting for me as I crossed the line turned what could have been a negative experience into one of the most amazing ones I’ve had racing MTB,” said Jen Malik while looking at her lobster red arms. The race was 3 laps on a 5-mile course filled with rutted switchback descents and two main climbs where the 93-degree temperature was very apparent. It was definitely a huge advantage to get out front early before the pavement climb (or burn some matches on it) to get ahead of as many riders as possible before continuing up the single track climb, which ended up being a “walk” near the back of the pack. Throughout the race, everybody was able to clean the tight and technically demanding switchbacks while red lined, a feat that is not easy and one we were all very proud of. The first main descent was a bit more technical while the other descent was fun and flowy. These descents offered few spots for passing so we were glad that Nikki was able to share her course experience and show us some sweet fast passing sections that we may have missed otherwise. For KS-Kenda women, races are more than results. Yes they are important, especially when building points for call-ups, but there are many factors that go into a good result and as a team, we do not want to lose sight of them. We asked each rider to provide a notable experience from the weekend and through each account, the strength of support through teamwork shines through. Jen said “the level of support both from our sponsors and teammates was surreal. Kenda and Win Allen taking care of our gear while giving us a couch to chill on (literally) was awesome while crossing the finish line and seeing my teammates there waiting cheering was the best ever. Nikki said, “The first race is always challenging, especially with the heat. This race was so rad though- having teammates makes racing bikes even better! 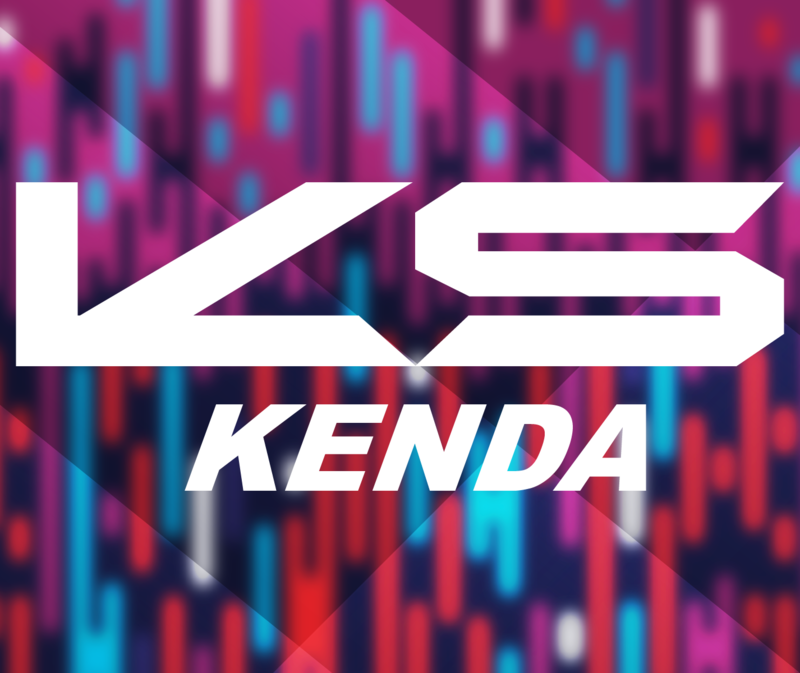 I was also amazed at the level of support we received from Kenda. They had a tent with couches set up for us to stay off of our feet. They also had Win Allen of Win’s Wheels as the mechanic. Having these little details taken care of made a huge impact. I can’t wait for more races with my teammates! Fairlee, Jen, and Nikki will be competing in the second ProXCT race this weekend in Bonelli Park while Emma will be joining again for the Sea Otter Classic, in which Hyperthreads is the title sponsor for! We are looking forward to more team experiences and rad racing! ← Creatively Cleaning Your Bike!